What started as a small vocational training project is now the #1 business in used bike sales in the entire country of Nicaragua. With technical assistance and capital funding from a long-time partner, NicaWorks! launched the International Venture Capital Fund two years ago and created the fund’s first social impact business – the Nica Bike Shop. When people donate used bikes to NicaWorks! our team of fantastic volunteers gets to work – storing the bikes, breaking them down, inventorying the supply and then loading them in cargo containers for shipping to Managua. Nica Bike Shop employs several young men who have been trained in small business skills and bicycle maintenance and repair. Those employees – and our #1 bookkeeper Karina! – have grown the business to sell terrific, refurbished used bikes in communities across numerous communities within a 3-hour radius from the country’ capital. Proceeds from the bike sales cover all costs for the social impact business (including employee salaries and benefits and all overhead), a portion of the proceeds are reinvested in NicaWorks! community development work, and a portion is paid back to investors to create a pool of capital for future social impact businesses. 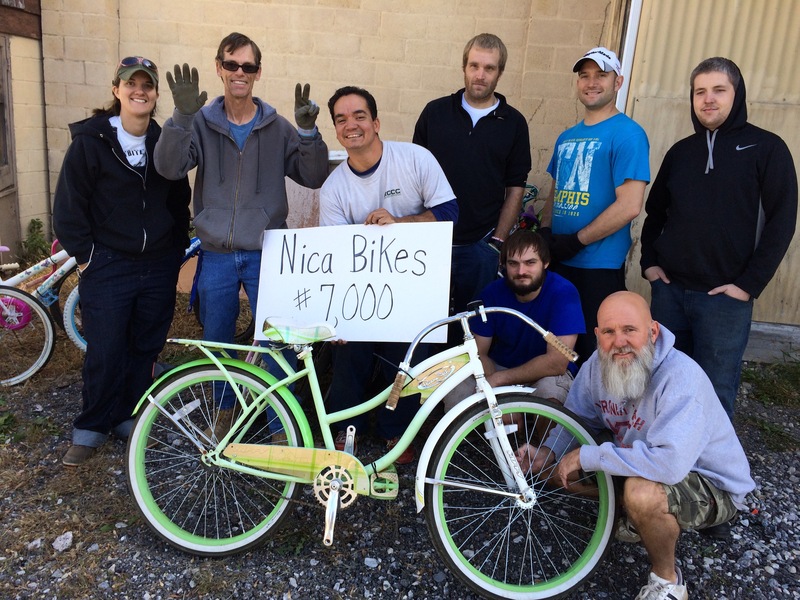 Our awesome team of volunteers in Virginia and Maryland recently loaded the 7,000th bike for shipping to Nicaragua…and we’ve only just begun! We need more volunteers to help us collect and ship bikes from all over the U.S. — we will provide training and assistance. Contact us to learn how you can be involved!